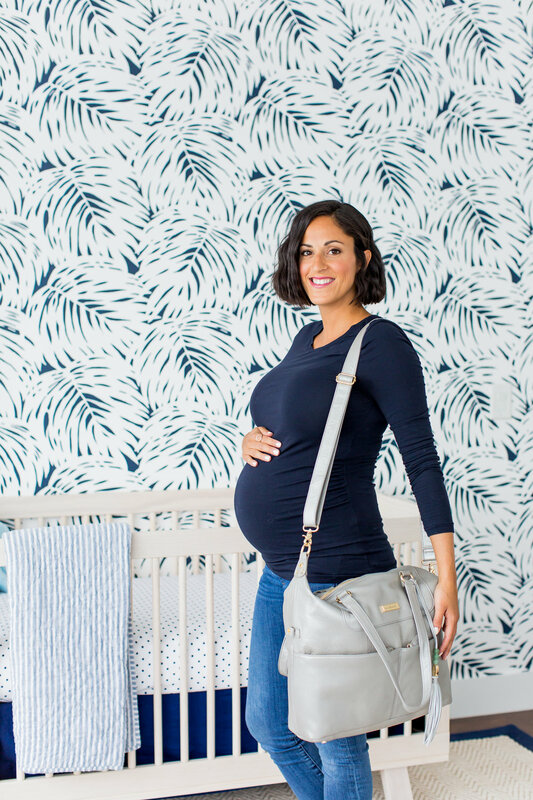 when I was first putting together our baby registry, I only saw very baby-like diaper bags. you know, diaper bags that were super kid-friendly with animal shapes or bright colors. I wanted something functional AND chic. and for the ones that were chic, they just weren’t functional – they were tiny, they didn’t have a lot of pockets (I hear pockets are important!) and weren’t transitional. I wanted a bag that I could go out with for the day with my baby and if I end up going to lunch or dinner later that day, I don’t feel like I’m carrying around a diaper bag. 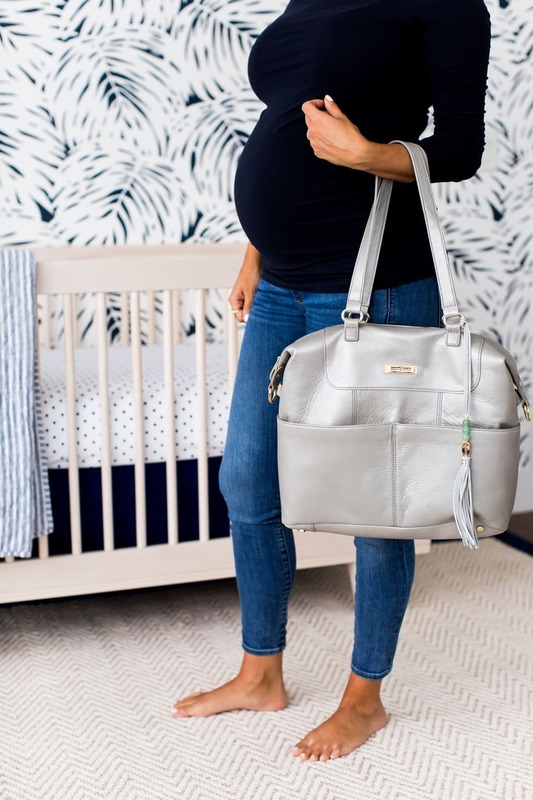 I’ve resolved to having a few different diaper bag options – one for long trips and days and one for quick little trips to the store and one for an even chicer look, if we’re taking the baby out on date night or something. and who knows, maybe I’ll only use one diaper bag the whole time, but I’d rather have options than not! 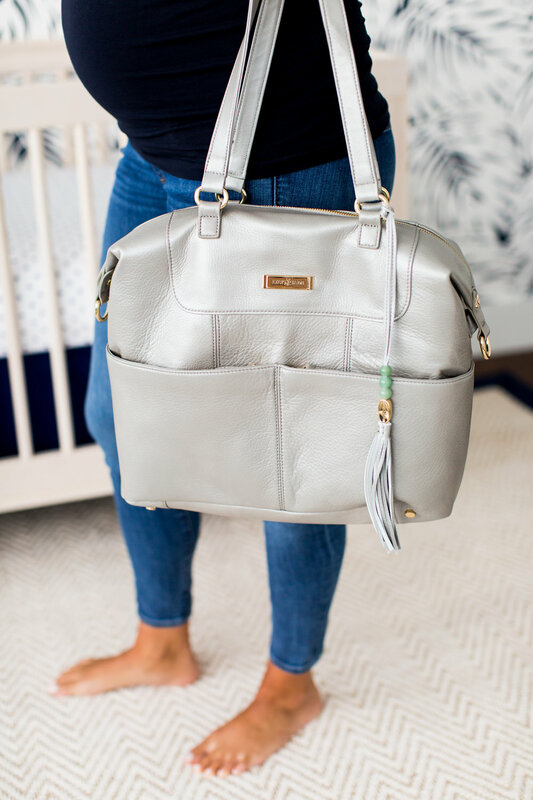 this lily jade bag is the most gorgeous diaper bag I’ve come across – the color is beautiful and lustrous and goes with everything. and the leather is SO, SO soft. best of all, it has so much room, making it the perfect option for those long days when you need to pack everything in for the baby, but want to look like you’re not schlepping around some giant ugly bag. after all, we should be able to have fun with fashion when we’re mothers! lily jade is kindly offering to give away one of these bags to one, US-based, lucky reader! open to US addresses only. to enter to win, you must be following @alissandrab and @lilyjadeco on Instagram! once you’ve followed, leave a comment on this post with your Instagram handle and let us know something about you – maybe your due date, something about your pregnancy, or maybe you want to win this for a friend/sister! once we select the winner, we’ll notify you via DM on Instagram! good luck! I’m due right around Thanksgiving! This diaper bag is gorgeous. My Instagram is emmalyn_gaertner. My sister in law has been dying for a new bag! My handle is @bforboon. this is an amazing bag that would be great for future moms! We’re about to become foster parents of little ones, so this would be perfect! My handle is @honeyhivehome. My friend is in LOVE with this diaper bag and I would love to win this for her to use..she just had the most perfect baby boy! My baby boy is due on Halloween. I am so thankful for all you have shared during your pregnancy. It’s been very helpful and inspiring! I’m Alissa_reichl on insta! Aw your baby boy might have the same birthday as my husband, he was born on October 30th! It’s been such a joy to follow your pregnancy! My baby boy is due in October and I would love to sport this gorgeous diaper bag! I would love it! I’m due in 6 weeks with my second. It’s our surprise baby. I didn’t want to find out the gender! I was teying to conceive when you announced you were pregnant, so it’s been so fun to follow your pregnancy! Now I’m currently 18 weeks with twins! This would be a great neutral bag since we are keeps the genders a surprise! My instagram handle is meganludwig616! Hi! I just had my baby girl 2 weeks ago! She came right on her due date. We have our easy days and our tougher days, but I’m trying to enjoy and absorb every minute of this special time! Fingers crossed! I’m 12 weeks along with my first and finally starting to feel better. My insta is destinationbabyc and I am due November 1st but we like to say Halloween ???? This bag looks too perfect! I’m due with my first baby (a girl!) January 31st after undergoing IVF following a long journey with infertility. Enjoying every moment of this miracle in the making. Following along with your fit pregnancy is a true inspiration! My due date is April 8, 2018. I’d really love to win this bag!! Also pockets are muy importante, organization is key when you’re trying to get out the door and aren’t sure if you have enough diapers/wipes/pacifiers. Love this bag, would love to gift it to my daughter, she has a 3 month old son and would adore this bag! Thank you! My handle is @katrynj and I just found out I’m pregnant two days ago! First baby! This is the cutest diaper bag I’ve seen! Obsessed with the color and design! My SIL is due any day now and I would love to win this for her! My husband and I are trying to adopt a newborn baby and I would love to win this diaper bag to stylishly carry around all our baby needs. @sarahhhhjeannn hoping to win for a friend! @liajane I’d love to win this for a friend whose first baby is due the day after Christmas! @geanarr I am due on November 6 with a girl, she’s our first baby! @ketzynurse I would love to win this diaper bag for my daughter in law! 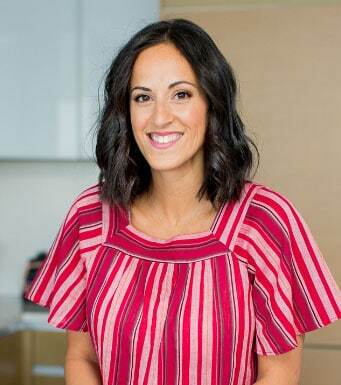 @cindy822 I’m newly pregnant (7 weeks – due April 1, 2018) and your fit and healthy pregnancy is such an inspiration to me! Hey Ali! Love following your pregnancy journey. I want to surprise my husband with this bag! Lol! I want to give this to my daughter who is expecting my first grandchild in January. It doesn’t look like any diaper bag I ever carried! Beautiful! Wish you had this great giveaway in B.C.Canada as my daughter-in-law is expecting their first baby & my first grandchild. Looks like sugh a beautiful & functional diaper bag! Love following you!???? My husband and I are adopting! I’m not growing a baby in my tummy, but I am growing one in my heart ❤ I can’t wait to be a Mom! I really need a new diaper bag since the zipper on mine broke! This one is adorable! Fingers crossed! Thanks!! @amyhoward417! We have six kids! 12 all the way down to 9months. We’ve just gone through 2 back to back miscarriages but praying our rainbow baby comes soon. Hoping to win for a friend, thanks for the chance! I have two little boys age 2 and 4 months, I would love a pretty bag when I’m surrounded by boy things all day! has food allergies so we must always pack food for him. This bag would hold his cooler bag plus all the other essentials; all while looking great! This would be a dream bag! My instagram is @nitrozis. I’m a very tired mom of an autistic ADHD 4yr old boy and a 1yr old diva of a girl lol whom I love very much and I sacrifice for my family so much so they can always have the best. I would like to win as my old baby bag is falling apart and this competition bag is super awesome and stylish and will probably be the only nice thing I’ve owned in a long time if I win ???? Not currently pregnant, But have a 6 month old baby boy! Would love this bag, because it looks like a bag I can use now with my baby boy and will still be stylish and in great condition (because of the leather) no matter how long it takes us to be blessed with another pregnancy. Love the idea of it being a diaper bag and a purse! Great for everyday Mommyin’ but within seconds can be converted into a stylish pure to take into the office. I’d love this!! My baby is 7 weeks and this is such a beautiful bag!!! ❤️ it!!! This mama of two little guys would love to have something fun, girly and chic since my days are filled with trucks, dirt and wrestling! Love how I could use the bag as a diaper bag for them now and then remove the insert for a stylish purse as they grow 🙂 Thanks for the chance! 6 month old boy. My bag is getting too small now that he’s on solids and I need to bring food and water out as well. Would love to win a new bag! I have a six month old daughter so I could definitely make use out of this roomy bag! Ig: @eulamei. Would love this currently have 2.5 yo and 4 mo old. Love the backpack option! Instagram : @misami95 would love to win this for my sister! She works so hard for her 2 kids and totally deserve this! Would love to win this for a friend who is having her first baby! Due 11/20 with my first baby. It’s a boy! My DD with #3 is 11/12! And I would love, love, love to win this for my friend who just had twin girls! I want to share my LJ love with her! I finally got pregnant!! And I want one of these bags so much! Thank you for your consideration ???? @k.tufts! Sorry- too excited ???? @langtribe3 I have a sweet baby boy that I absolutely adore. He’s my angel ???? My handle is @mtburkey and aaalllllll I want to do is eat almond butter these days ???? I can’t stop looking at these! I just had my lil darlin’ on March 6th. I would love to own one of these beauties to pack all her things up! We are getting so excited to welcome our rainbow twin boys in just a few short weeks! With two older kiddos and twin babies, this bag would be perfect! ???????? I would love to win this for my friend Sarah. She became a boy mom 2 weeks ago and is feeling unsure about her abilities. She is a remarkable mother to a daughter already and I would like to gift this bag to her to honor the amazing mother she will be to a son! @Buffertareeny My 4th baby is almost a year old and I’m still in search for a good diaper bag. I’ve always thought Lilyjade bags are so pretty! I would love to be lucky enough to own one to use on big trips out and keep all my daughter’s things organized. Thanks for the giveaway! Due 1818 with #1! It’s a boy! Due with 2nd in January. I will be 36 when this one gets here…I feel OLD! Not currently pregnant but I’m a mommy of 3 little boys ages 2, 2, and 4 ???? something about me… well, I’m Scottish. I was born and raised in Scotland and moved to TN on my own at 18 to start a new life. Here I am 12 years later with the most amazing daughter and a perfect husband. we got married in Jan 2014 but engaged in May 2014 lol. My life is full of stories you wouldn’t even believe, but thankfully most of the stories are fun and loving with a few random rough ones. I’ve been blessed and spoiled. Would love to win this Lily Jade bag, in seriously obsessed with them, my husband works so hard and in a sahm that I don’t want to spend all his hard earned cash on a dream bag, would he mind, no… but i can’t bring myself to do it. I told my husband that I’m going to try and win one and we can use that money to spoil him somehow. So that’s my goal ???? My wife’s instagram is meegandiggs I had her like both. We’re due Christmas with our miracle rainbow baby. I would love for her to win one of these bags! She has been oogling over them. After everything she went through just to conceive our baby girl she deserves it and so much more. I love that these are real leather, will last forever & are timeless. I’d love to use this with my littles. ???? @JulieClooney foster Mama to children from hard places. Two of ours are awaiting decision to terminate parental rights. Please pray for my kids and their birth families. I have a daughter that is refusing to fall asleep tonight. I found this giveaway while my husband is driving around our city trying to get her to shut her eyes so we can go home and sleep. She’s 17 months. When will the madness end? A lily jade bag would make it all better though! I’m due in October with my 7th baby (5th boy!). I would love a little glamour. My sister is due with her first baby in October and we’ve been trying to win a bag since she found out she was pregnant. I would love to win her one!!! Beautiful diaper bag I need something like that! Love the color!! Would love to win this for my sweet SIL! I first heard about Lily Jade on a podcast where Meggan Wood told her story. It was very inspiring. I went and checked out the bags and fell in love! It’s such a great idea! I am going to own one someday! I have 5 children under 7. 1 girl and 4 boys! I am currently 31 weeks pregnant, and need a new diaper bag. This one is beautiful! Liked bothnon IG. CiJi Phillips. I just had my baby girl 1-1/2 weeks ago and her due date is tomorrow. We could soo use a chic diaper bag since she has two older brothers. I follow as @littlefoxblue . With 4 under 7, (youngest is almost a year), I still carry a ton of stuff! What I wish someone had told me is investing at the start in a good bag saves a lot of hassle! I’m following both as @kbtaggart. If I won, I would give this to my sister who we just found out is pregnant with her first! This came as a total surprise to everyone, but I’m really excited because my two kids are finally getting a cousin! I have a two year old and a 4 month old, both boys, and they are the light of my life. done. ❤❤❤ I so desperately need one of these gorgeous bags. @sarahemarrs I would love to win this diaper bag! The colors match the colors in my little home ???? I’m happily expecting my rainbow in early February and haven’t publicly announced yet… hehe, but risking posting a comment to win this bag. Shhh!!! @bubble_eater2012 (Not a sob story I promise lol )I have a 4 year old who is special needs and we go to the doctors office/ therapy almost daily and I have to carry a baby bag with bottles and special formula Bc he is so developmentaly delayed. I hate dressing up and then having to lugg around a baby bag that looks so obviouse I need a quality diaper bag that looks stylish since I will be using one for so long. I can be a super mom to my little fighter and still continue to be super stylish ???? @_eomma.reitano These bags are gorgeous! One would be perfect for us! @jmw930 – I’ve got a 2.5 year old and one on the way. A bag to hold everything for different ages would be great! My instagram handle is @e.cowell. I have a newborn and a toddler, so a stylish new diaper bag would be well loved here! I have an 11 year old and a 10 year old, and also a 1 month old. I would love to win this bag as a "push present" treat for myself. I have been loving LilyJade forever, but can’t really afford one, so to win one would be amazing! I LOVE Lily Jade ???????????? I am due with my fourth in two weeks, and it would be amazing to win this bag! Thanks for the chance! @alex_is_singing – I have been eyeing lily jades for a while now. I wish I’d have known about them before the birth of my now one year old! The diaper bag I have now, while functional, just screams "I’m a diaper bag"! I would love something that could transition to a purse once were done with diapers and all that, and something that looks like a purse in the meantime (even if there are diapers and whatnot inside). Due early November with our eighth beautiful blessing. High time for a new diaper bag! @jebaker08 My SIL is super chic and this bag would be perfect for her! She is due in January! We have a 2yo & will be starting IVF again soon with the hopes of growing our little family. However, I want to win this for a dear friend who’s experienced so much loss and would so appreciate a chic, new diaper bag. I would love to win this for my sister in law that just had a baby. She is a teacher and is always carrying several bags with everything for the baby. This is just what she needs. Thanks for the chance. 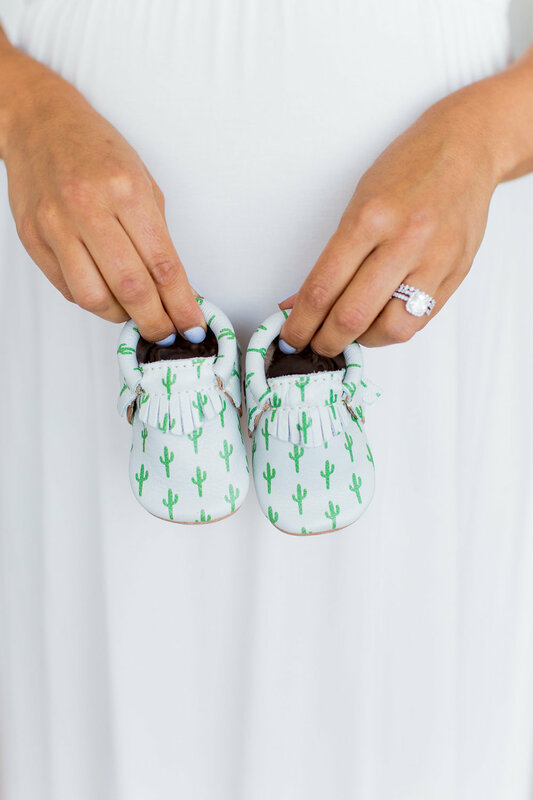 I would love the chance to win a lily jade to carry cute little things for our baby boy due this Sept! We just had our 35 week sonogram for measurements and he’s already 7lbs! I enjoy your posts so much, thanks for being such great inspiration! I have a one year old and three year old and have been wanting one of these bags for so long! I would love to win! I would love to win this for my sister in law who is due in Nov.
My IG handle is @quirkylady79! I would love this for my sweet cousin who has the cutest 6-month old little girl! She would love the style of it! I would love to win this bag for my son, coming in November. 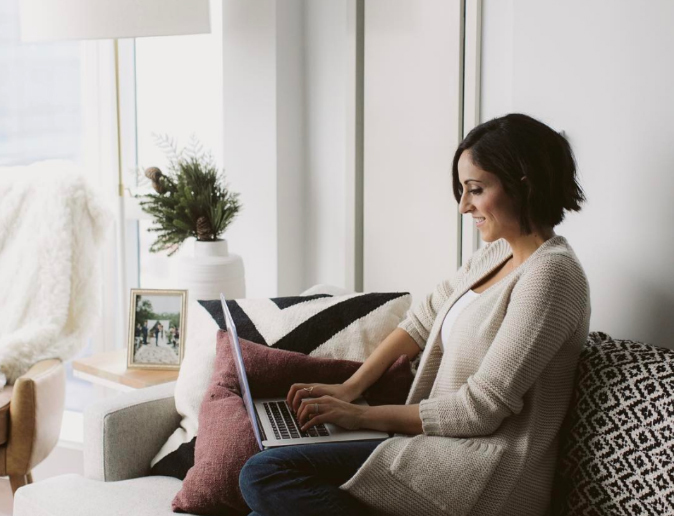 Hello, I am so thankful for this blog it is like chatting with girlfriends! I am 35 and pregnant with my first and was wishing one of my other girlfriends was pregnant at the same time as me for this very reason so thank you. This bag is puuurfect…a combo of function and style, what could be better? Insta @sarahbus1, thank you for entering me! Just had our son on August 4th! Would love this for when I go back to work in November, its perfect for the working mommy! My little sister is due in two weeks and this would be perfect for her! Would love to win for next baby, not pregnant yet though. Love the nursery and that bag! ???? Am looking for chic diaper bag options too! Just not a print person at all! Kiiimtato: Really trying to win a camel shaylee lol. Hi! I am hoping to win this for my daughter who is due Dec 15th. Being a mom is wonderful! Being a grandmother is awesome. Done! And my instagram handle is @kenzikenz15 I’ve got two sweet boys, one who is 12 weeks old and the other who will be two next month. I’m a working professional and really need a durable, beautiful bag that can convert from my diaper bag to work bag to purse seamlessly. I bought a chic diaper bag in the $100 range and it has fallen apart so quickly and doesn’t have the functionality of the baby insert or the ability to wear back pack style. I make it work because that’s just how I am, but I definitely have had my eye on LJ for a while now. We’re also in the process of moving and I’m pretty sure a new bag just for me would help keep me sane during this process. Moving is HARD and exhausting on mamas!!! Mother of two???? a 2y/o and a 1 month old, married to my best friend. We plan to have a big family but that doesn’t mean I have to look like a soccer mom with an ugly diaper bag(; we have lots of girls in the family all having babies and I’ve turned them all on to these bags???? now everyone wants one! I have been stalking the Lily Jade bags ever since I can remember! Now that I am pregnant for my VERY first time with the love of my life, I only dream of owning a Lily Jade diaper bag! It’s so versatile and perfect for our lifestyle. We love the outdoors but I LOVE dressing up and going out with my girlfriends, this would be the perfect accessory. ???????????????? I am announcing my pregnancy in 2 weeks and couldn’t be more excited. Cannot wait for all the good things to come!! Hope this bag goes to one deserving mama!! ???????????????? I would like to enter for my wife and mother of a preschooler and infant. She shows me these bags at least twice a week. I’m entering the give-away for my daughter, Julia, due in October. She lives in South Africa and doesn’t have access to many baby items that we have here.